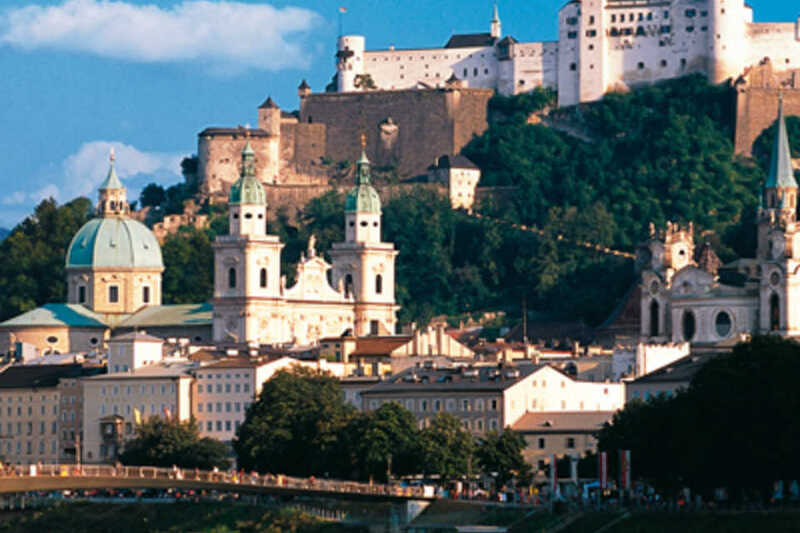 Salzburg, Austria is perhaps best known as the birthplace of Mozart. The city is home to numerous music and drama festivals throughout the year. The movie The Sound of Music was filmed in this city and is a popular tourist attraction. The alpine setting of this city gives it a unique charm. There are many sites to see and lots to do here. There are many hotels in the city to fit every taste and budget. Prices vary widely from many affordable hotels to more luxury hotels with higher price tags. The internet is a good source of reviews of the many hotels in the city. You can view pictures and read descriptions of the various hotels before choosing your accommodations. Vacation packages are available online or through a travel agent. 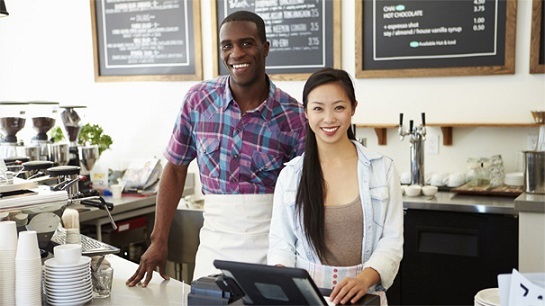 These can save money, compared to booking your flight and accommodations separately. Do some research before visiting a travel agent or booking online into some of the hotels available in the city. Decide if you want to be in the inner city or farther out. Salzburg’s Old City is the center of the city and the most historic area. It is considered one of the most aesthetically beautiful cities in Europe. The area has many old footbridges to walk and pedestrian only areas for sightseeing. Horse and buggy tours of the area are also available. If you need a break from the city, consider walking the many paths outside the city to relax and enjoy the quiet and beauty of nature. Salzburg is home to many old churches, most in the Baroque style. The cathedral in the center of town dates back to the 17th century. The architecture of these old churches gives the city its unique character. Some to see include: St. Sebastian’s, St. Michaels, St. Johns and St. Peter’s Abbey. Mozart’s Birthplace has been renovated to the original apartments inhabited by the family. The room where he was born and the room where he composed most of his famous works are still open for tours. Guided tours are available the first Sunday of each moth. This is where the composer lived until 1773. Mozart’s Residence is located nearby and is where he lived from 1773 to 1780. There are exhibits related to the family and the works of Mozart. 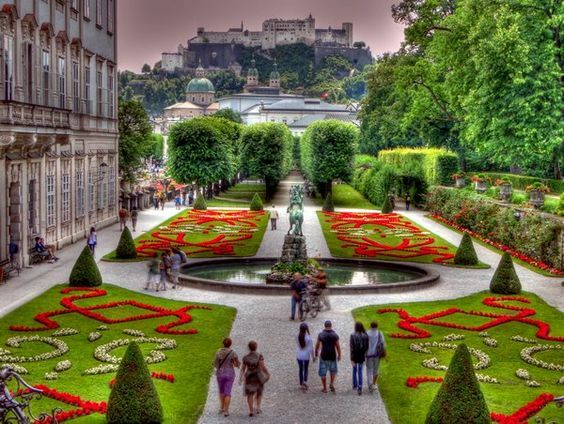 Fans of the Sound of Music often love visiting Salzburg. The movie was filmed here. You can tour locations throughout the city that were featured in the film. A tour bus playing music from the movie takes you around to all the locations featured in the film. Mirabelle Palace is open for tour. The ornate palace is also home to amazing gardens with statues of mythical figures. Heckentheater on the West Side is the oldest Hedge Theater north of the Alps. This was constructed in the 1700s as an outdoor theatre. On the same site is the Zivergegarten, which is a dwarf garden. Hohensalzburg Fortress is another popular tourist attraction in the city. The fortress was first constructed in the year 1077 and expansions were done in 1160 and again in the 15th and 16th centuries during the Hungarian War. This is the largest fortress in all of central Europe. It was very effective and was never conquered by enemy armies. The fortress is open year round for tours.